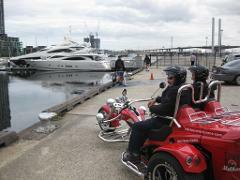 Melbourne tours just got better - hire our Driver and Trike to take you on a tour/ride of your own design or we can suggest some options for you. Great for tours of Melbourne city. Melbourne tours just got better - hire our Driver and Trike to take you on a tour/ride of your own design or we can suggest some options for you. Great for getting out of the CBD and exploring the sights. 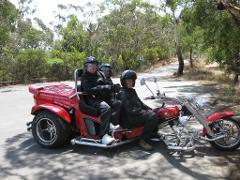 Melbourne tours just got better - hire our Driver and Trike to take you on a tour/ride of your own design or we can suggest some options for you. Great for combining some of our short tours to suit your needs. Melbourne tours just got better - hire our Driver and Trike to take you on a tour/ride of your own design or we can suggest some options. Great for half day tours of Melbourne. Melbourne tours just got better - hire our Driver and Trike to take you on a tour of your own design or we can suggest some options. 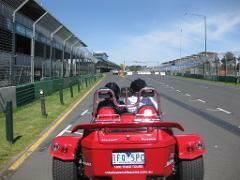 Great for big half day tours of Melbourne or further out from Melbourne. Melbourne tours just got better - hire our Driver and Trike to take you on a tour of your own design or we can suggest some options for you. Tour locally or head out from Melbourne to your choice of locations. Melbourne tours just got better - hire our Driver and Trike to take you on a day tour of your own design or we can suggest options. Take a day tour from Melbourne and have more time to explore! Melbourne tours just got better - hire our Driver and Trike to take you on a tour of your own design or we can suggest some options. Visit the 12 Apostles or take a full 12 hour day tour from Melbourne and have the time to really explore.